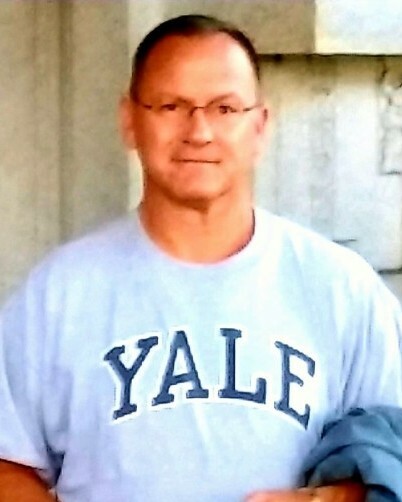 Edward J. Schmitt Jr., 55, of Exton, passed away peacefully on the morning of March 31, 2019 at his home surrounded by his loving family. The son of the late Edward Sr. and Anne Schmitt (nee Hart), he was the beloved husband of Christopher J. Graham. Ed was a 1982 graduate of Camden Catholic High School. Ed received his BA from Loyola University. Ed was employed by Automated Financial Systems Inc. since February of 1992. Ed was a senior project leader and managed internal and client training and reporting projects. Ed also owned and managed Topiary Flowers along with his husband Chris and cherished employees. Ed had a way of making everything colorful and fun. He was incredibly passionate about and creative with flowers. He taught us that presentation matters, this applies from Halloween costumes, interior decorating, to gifts for friends. No event was ever complete without flowers (and good jewelry). He was entertaining and charmingly unfiltered. He was exceedingly kind and generous. Ed was always doing something for family and friends or strangers who became his friends. His happy place was at the beach with sun and champagne. In addition to his husband, Christopher, Ed is survived by sister Susan Schmitt (Jody Rogers), brother-in-law Alex Graham and sister-in-law Kathleen Graham. A Mass of Christian Burial will take place Friday, April 5, 2019 beginning at 10:30 am at SS. Philip and James Church 107 N Ship Rd, Exton, PA 19341. In lieu of flowers, donations in Ed’s honor can be made to The Team CMMD Foundation 750 W. Lincoln Highway, Exton, PA 19341 https://teamcmmd.kindful.com or to AseraCare Hospice 415 Eagleview Blvd. Exton, PA 19341 www.aseracare.com.